As we all know,Intex Mobiles Technology owned Gujarat Lions and The Rising Pune Supergiants made their debut entry in IPL 2016.Last season, Gujarat Lions did pretty well as they firing all cylinders from the start.. They won the first three with three consecutive fifties from the Aussie Aaron Finch and continued their winning momentum with some absolutely​ fantastic batting by the likes of The Skipper Suresh Raina,Brutal Brendon McCullum and the Dwanye Smith.The Bowling was Lead Well by the Indian duo of Dhawal Kulkarni and Praveen Kumar and of course The Champion Dwanye Bravo and Sir Ravindra Jadeja. But unfortunately they got knocked out in The Playoffs by Royal Challengers Bangalore. This season of VIVO IPL 2017 wasn't good for Keshav Bansal owned GL.They lost majority of their matches at the start.The Reason was because they couldn't find the perfect team combination.There came a time when they had to play with four overseas batsman for a couple but unfortunately all four included openers. The Biggest miss for them was the Carribean Star DJ Bravo in the bowling.AJ Tye showed some brilliant talent with his knuckle balls and infact took an hattrick.. But he too got injured while fielding and was rulled out like Bravo.One more disappointment came when McCullum got a hamstring injury towards the end and at the same time Jason went for his International Duties so Lions were forced to play with 3 Overseas.. This was the story of their journey in IPL so far in brief. Next season, GL and RPS Will not be there as CSK and RR are coming back from their 2 years ban. 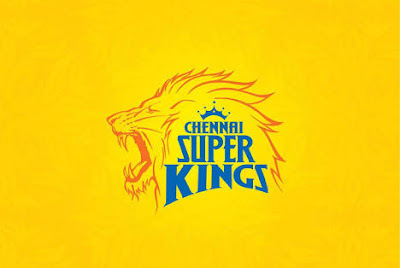 So,I am excited and I am waiting for the next auction which will be an open auction..
Chennai Super Kings have retained their core set of players and are, on the expected lines, very heavy in the spin department. 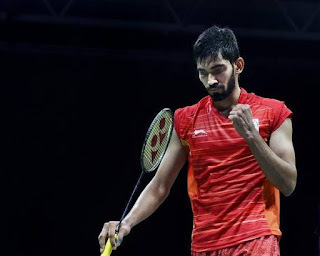 Indian AceShuttler Kidambi Shrikant is poised to become the World No. 1 in Men’s Singles Badminton World Federation Rankings, replacing Denmark’s Viktor Axelsen. He will move to the first spot with 76895 points and is set to become the first Indian to secure the top position since the inception of the ranking system. Earlier in April 2015, Saina Nehwal had become the first Indian woman shuttler to conquer the world number one spot in Women’s Singles. In the newly released ranking system, Srikanth is the only Indian in the top 10 in Men’s Singles. In Women’s Singles ranking, the sole Indian P.V. Sindhu occupies the third position. Rafael Nadal powered to a record 11th Monte Carlo Masters title with a straight-sets victory over Kei Nishikori. The world No 1 recovered from going a break down early in the first set to win 6-3, 6-2 in 93 minutes and has now won 36 consecutive sets on clay, a run which stretches back to the first round of last year’s French Open. None of Nadal’s opponents has won more than four games in any of those sets, a statistic Nishikori looked like changing when he broke for a 2-1 lead at Monte Carlo Country Club. 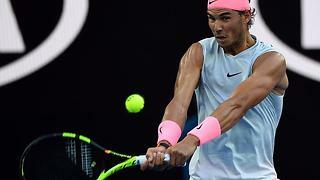 However, Nadal had other ideas and broke straight back on his to winning five of the next six games. The 31-year-old then broke Nishikori twice more in the second set to seal a 31st Masters 1000 title, one more than Novak Djokovic.